This school was run by the Rev. Benjamin Peile, Curate of Hatfield (c.1824-42), and his wife Angel, for about 12 boys who boarded. 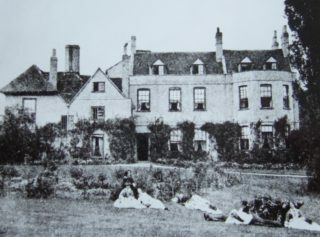 The school was there in 1838 or earlier and, after the Rev. Peile died in 1842, the school was carried on by Mrs. Peile and her brother James Pelly Babington, a surgeon. She was later assisted by her son, the Rev Arthur Lewis Peile CVO, Curate at Hatfield (1853-59). Amongst notable pupil who received their education there were Edward Henry Stanley who became 15th Earl of Derby, Foreign Secretary 1866-68 and husband of Mary Catherine, daughter of the 5th Earl Dela Warr and widow of the second Marquess of Salisbury. Another to receive his prepatory education there was Robert Dimsdale (1828-98) who beame MP for Hertford in 1866 and 6th Baron Dimsdale in 1872. The boarding school closed around 1860. The building was later used as a hospital in World War 1. Northcotts was located just up the road from Hatfield Station on the other side of the road. It was demolished to make way for a block of flats.